I work with my clients to obtain the results they are striving to achieve, as well as assist them in establishing a strategic framework to realize their long-term goals. Dave has practiced law for 44 years with the firm of Johnston Ming Manning LLP, with the focus of his practice now being commercial transactions, corporate law, construction law and real estate. His extensive experience, professionalism and expertise are reflected in his ongoing legal representation of several of Red Deer’s most well-respected and successful businesses in various industries. Dave completed his undergraduate studies at the University of Calgary and obtained his Bachelor of Laws degree from the University of Alberta in 1973. He then articled with Johnston Ming Manning (then known as Holmes Crowe Power) and became a partner in 1976 and was later appointed Queen’s Counsel in 1988. The honorary title of Queen’s Counsel is awarded to select lawyers in recognition of their exceptional skill as well as their commendable contributions to the legal profession and local community. Dave has a wide range of law experience, including Sports Law. While he has deep roots in the Red Deer community and ongoing involvement with a number of charitable organizations, including educational programs, Dave may be best known by his fellow Red Deerians for his many contributions to the hockey community. 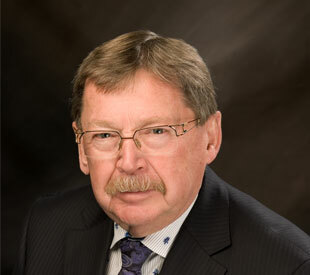 In 2011, he was inducted into the Alberta Hockey Hall of Fame in recognition of his achievements in the various positions he has held over the years, including his role as a coach, a member of the World Junior Championship Host Committee, and as President of the Red Deer Athletic Association. Despite his many career successes, Dave’s greatest achievement is his family, which includes his wife, Melo, his three grown children and four grandchildren, with whom he enjoys spending his free time.